If you were there, you understand. 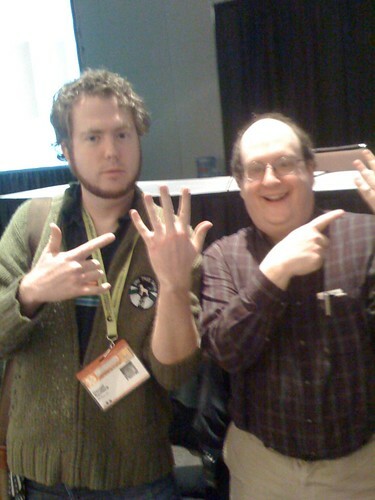 If you weren’t there, feel free to add your own captions to this photo of jared spool and me. Jared is the founding principal of User Interface Engineering (UIE), and gives a damn good presentation. lessig, eat your heart out.